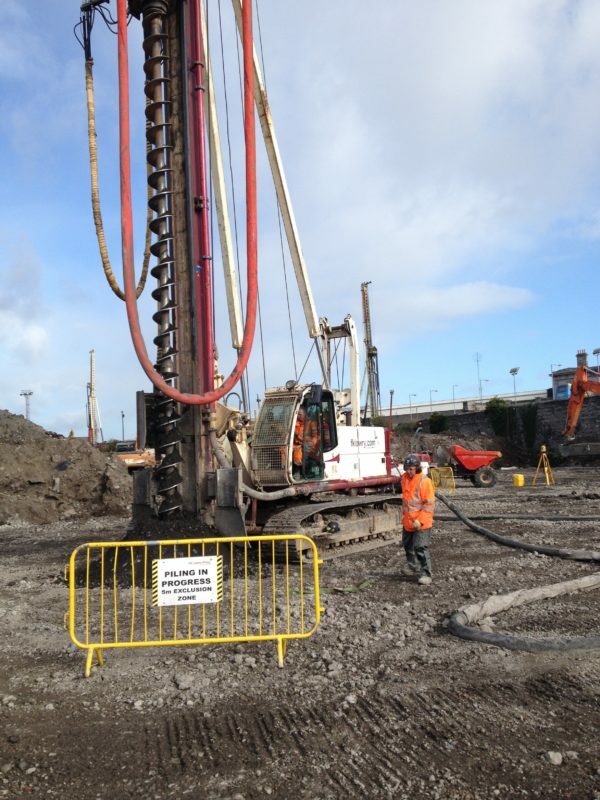 FK Lowry Piling have recently undertaken a CFA Piling Contract for Clancy Construction at Grangegorman, Dublin. Grangegorman is a new urban quarter being created in Dublin’s North inner city. It will have health, education and community at its heart and will open up a once walled off part of Dublin. The Grangegorman site is an area of approximately 73 acres located approximately 1.5 kilometres from Dublin’s City Centre. FK Lowry Piling mobilised their Soilmec CM-50 Rig to install 450mm Diameter Bearing Piles for safe working loads of up to 1,100kN for a new Car Park on the Development.